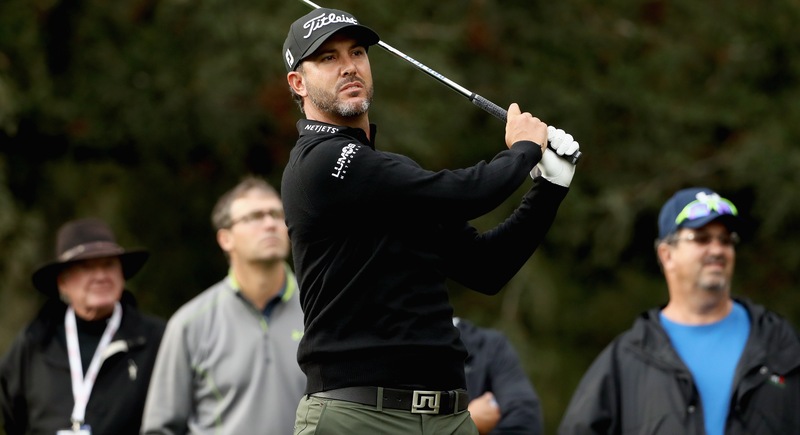 NAPA, Calif. – Scott Piercy keeps finding ways to score even when he’s not making a lot of putts. 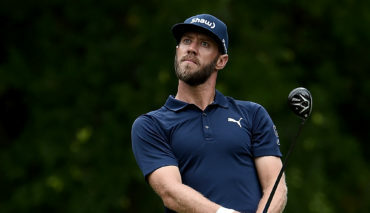 Piercy pitched in from 40 yards for eagle on the par-5 ninth hole Friday, helping him keep a two-shot cushion at the rain-delayed Safeway Open until it became too dark to continue. A steady rain that fell on Silverado for most of the bleak day halted the second round for 2 hours, 36 minutes as water began to pool on the tee boxes and the corners of the greens. The delay meant the second round could not be completed until Saturday morning. Bill Haas had a 2-under 70 in the morning and finished 36 holes in 8-under 136. Piercy, who opened with a course-record 62, made only one of his four birdie chances until his eagle at No. 9, and he followed with a 10-foot birdie on the next hole to reach 14-under par. He missed a 5-foot birdie on the 12th hole, his last of the day. Johnson Wagner was at 12 under and had a 15-foot birdie putt on the par-3 15th hole when he decided to wait until morning. Paul Casey, who opened with a 64, recovered from two bogeys late on his front nine with three birdies over his next four holes. He was 11 under through 12 holes, ending his day with a 35-foot birdie putt. Piercy converted only one of four reasonable birdie chances, making a 7-foot putt on the par-5 fifth hole. The next par 5 was into the wind, though he was mildly surprised that a 3-wood came up so short of the green in the first cut. No one from the afternoon starters finished the second round, which was to resume at 7:45 a.m. PDT. The third round was to be played in threesomes off both tees, though more rain was in the forecast for the weekend. Haas was hopeful of at least staying close to the leaders. That depended on Piercy, Wagner and Casey, and perhaps a few others. Haas was one of the “replacements” for Tiger Woods, in this case taking the spot that had been set aside for Woods in the early-round groups. Haas doesn’t know why he was chosen. He just considered it a treat to be able to watch the exploits of Phil Mickelson and the rhythmic swing of defending Emiliano Grillo. And they were able to watch Haas post the lowest score from the group. Haas made it through the tough conditions brought on by rain Friday morning at least got him into the mix going into the weekend of the PGA Tour season opener at Silverado. Haas was at 8-under 136, the low score among those who finished 36 holes. Mickelson had another 69 and was at 6-under 138. Grillo played bogey-free after the delay for a 70 and was at 5-under 139. Woods had planned to play at Silverado and even entered the tournament on Friday. The PGA Tour decided to arrange the groups so that Woods played with Mickelson and Grillo. Woods, however, withdrew on Monday saying that his game was “vulnerable” and not where it needed to be. Haas took that spot in the group, and all three have put on a good show. Grillo had a 35-foot birdie putt that he left 10 feet short on the 11th hole, his second of the round, when the rain was at its worse. He made it through the back nine without any more mistakes, and then ran off three straight birdies on the front nine . Mickelson returned from the rain delay in much worse shape. The driver slipped out of his hands on his first shot at the par-4 13th and led to a snap-hook out-of-bounds. He managed to make a 10-foot putt to escape with bogey . Lefty made another bogey on the par-3 seventh when he pushed his tee shot left of the green, left of the gallery and next to a beer concession. From rain-soaked pine bark, he hit a flop to 12 feet and narrowly missed the putt. There were plenty of good shots, too, however, and Mickelson had control of his irons, which was key. The greens were so soft from rain that it was critical not to spin the ball back too much around the hole. 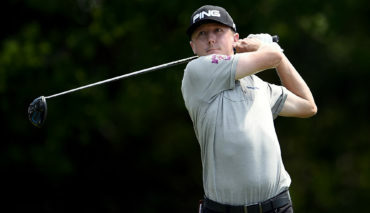 Mickelson shared 10th with a slew of players including Canadian PGA TOUR rookie Mackenzie Hughes. 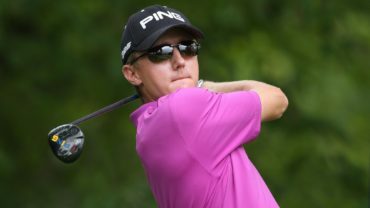 The Dundas, Ont., native was 6-under after a second consecutive 69 Friday.